Please note that all Rough Country LED Products are shipped directly from the warehouse and shipping times may vary. This sleek, modern and extremely bright single row LED light bar fits right into the Super Duty grille design! 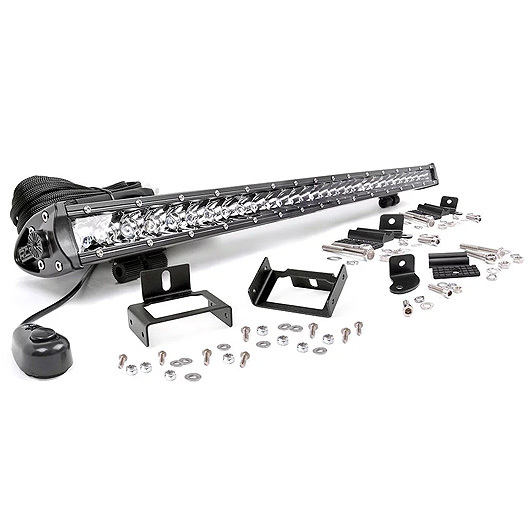 This 30-inch Cree LED Grille Light Bar Kit includes everything you will need to mount the light bar in the factory opening of the truck’s grille. 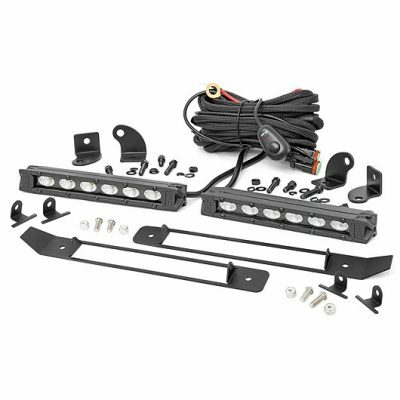 Once installed, the LED light bar and mount within this kit provides a clean and flush look. The brackets are created to be hidden from view, giving this kit a factory appearance. This kit features powerful lighting and durable housing. 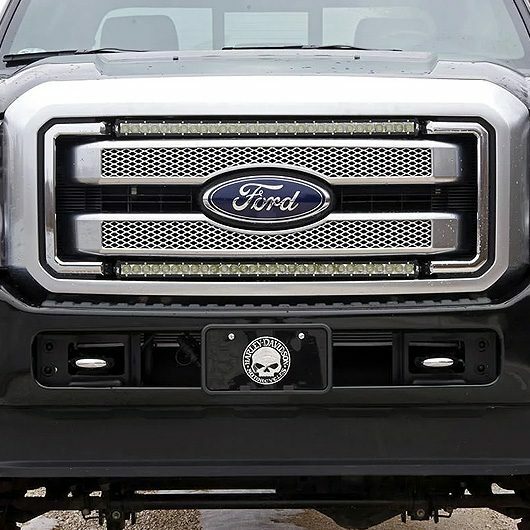 Rough Country’s 30-inch Cree LED Grille Light Bar Kit is designed to fit 2011 – 2016 Ford F-250 and F-350 Super Duty models. 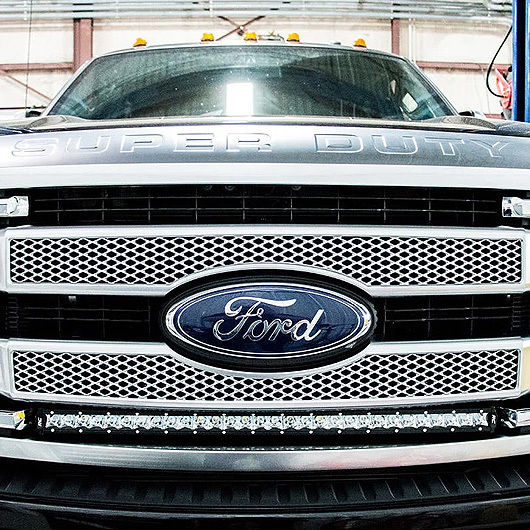 Kit options include a single light setup to feature within the top or the bottom of your Super Duty’s grille. A dual light setup for added lighting power and a symmetrical look is also available. 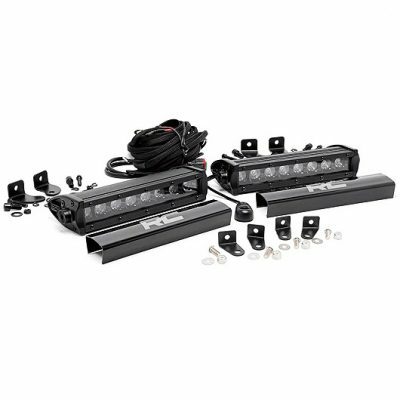 The 30-inch Cree LED Grille Light Bar Kit displays a bold 12,000 lumens, 150-watt total output, and contains 30 5-watt high intensity Cree LEDs. 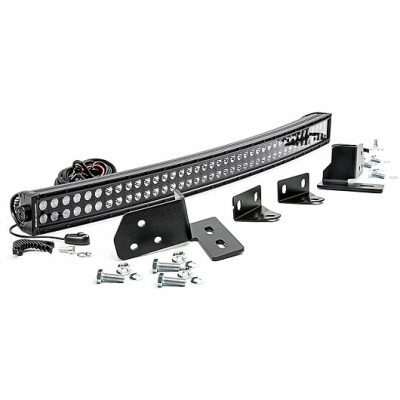 Whether you choose the single light bar setup or the dual light bar setup, your kit will include the lighting, mounts, and hardware needed for installation. With a waterproof rating of IP67 and the durable die cast aluminum housing, rest assured that this kit is protected from the elements year-round. For added peace of mind, the light includes a 3-year warranty and the mounting brackets include a lifetime warranty. Please note: This kit will NOT fit XL models. Rough Country products will ship directly from the warehouse and shipping times may vary. If you have any questions about the 30-inch Cree LED Grille Light Bar or product availability, please send us an email at info@wickedwarnings.com.